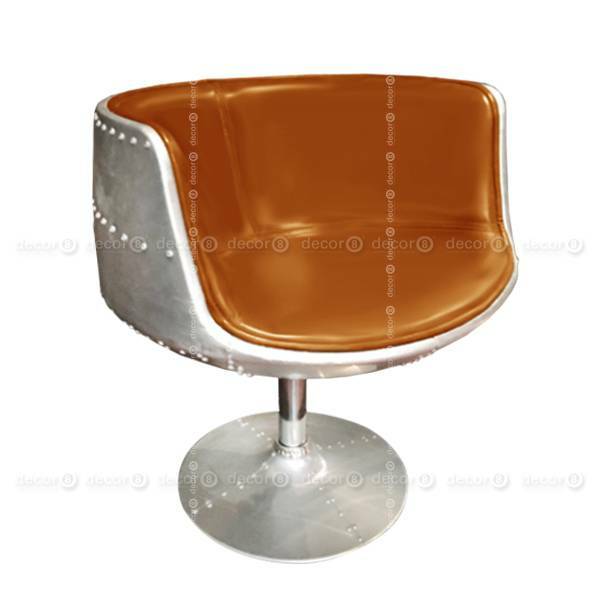 Looking for an eye-catching statement furniture piece? 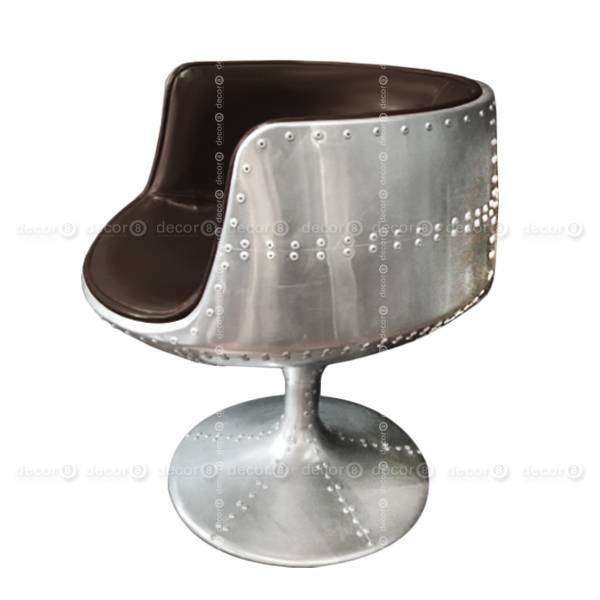 The Earhart Aviator Leather Swivel Armchair is the perfect statement piece as a standalone swivel side chair or small swivel lounge chair in living rooms, receptions or foyers. 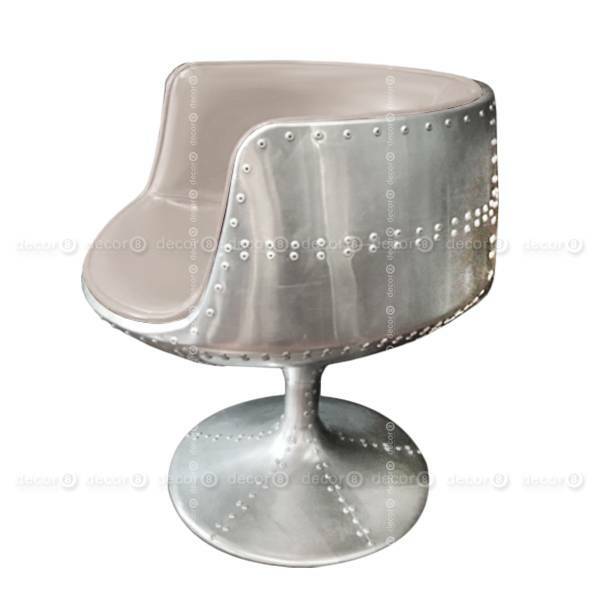 In dining room settings, the Earhart Aviator Leather Swivel Armchair creates a dazzling, vintage aviator dining room setting. In home offices, this unique swivel chair is a roomy swivel office chair perfect for your reading or getting some work done at home. 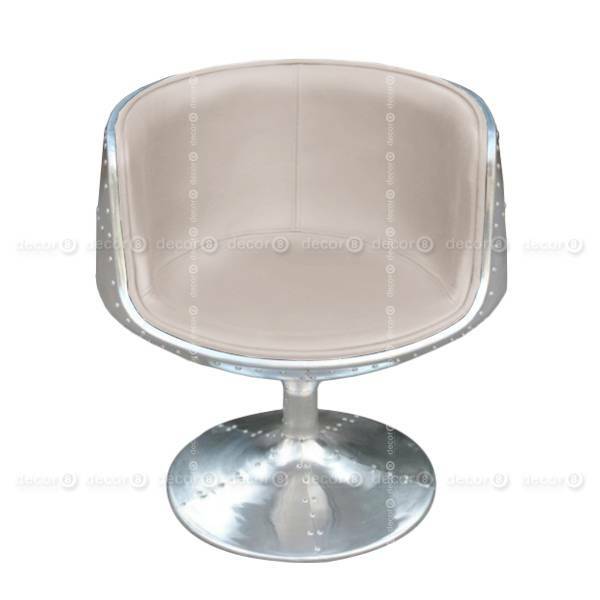 Furniture inspired by the air and sea, these vintage inspired furnitures pieces combine a metal frame with a leather upholstered seat. The seat back and base is inspired by retired aircraft parts to form a retro aviator-esque design that are reminiscent of old school fighter jets. 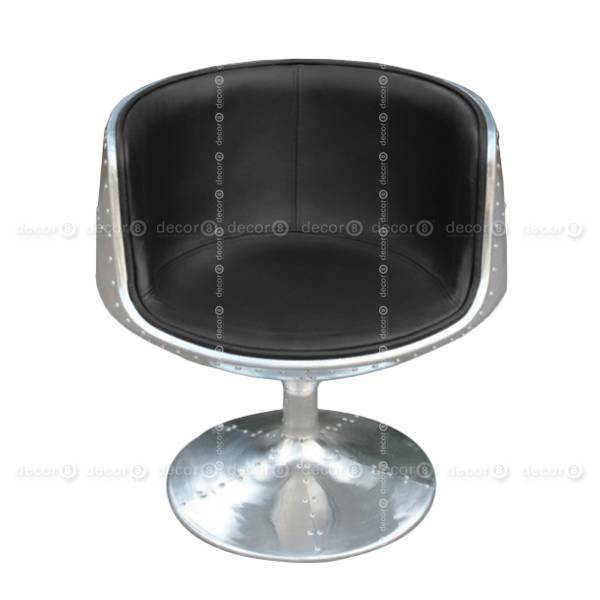 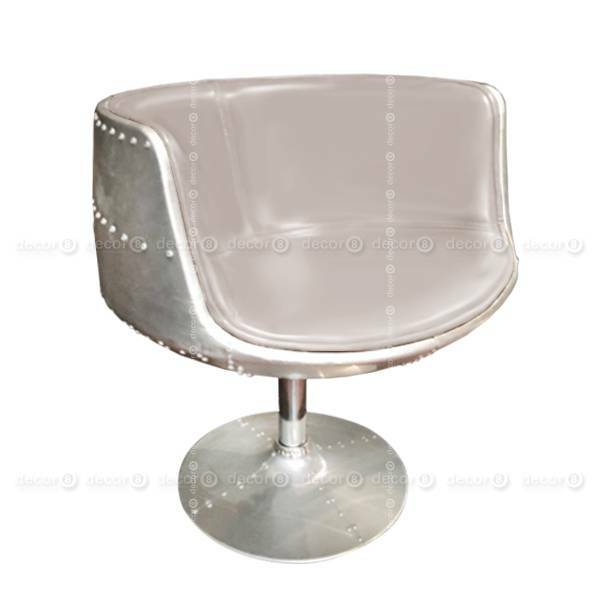 These aviator inspired chairs are made to order and require a fabrication lead time of approximately 2-3 weeks.